The Montreal World Film Festival is in the process of expanding space for China's burgeoning movie industry. Serge Losique, founder and president of the festival, which began in 1977, says that the annual event will have a permanent section for Chinese movies as well as a Chinese-language website. He says the Quebec-based festival was "a pioneer in promoting Chinese cinema in the West at a time when there were very few Chinese works being shown in Berlin, Cannes or Venice". 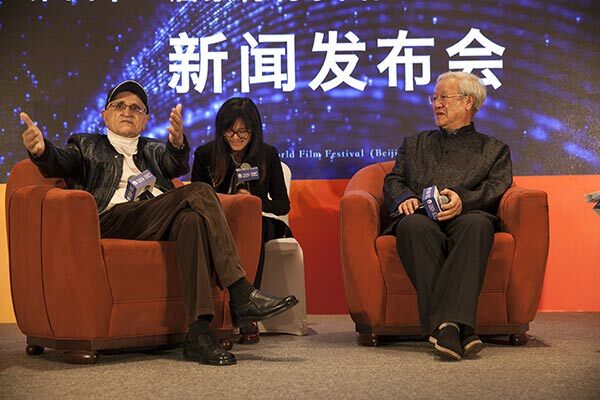 During the past four decades, more than 600 Chinese movies have been shown at the festival. A number of well-known Chinese filmmakers, such as Chen Kaige (Yellow Earth) and Feng Xiaogang (A World without Thieves), have also taken part in the festival. "The Western film trade papers these days are full of news about China ... and the rise of Chinese-Western coproductions highlights the symbiotic relationship," he says. "We sensed this early on, and organized a Chinese Business Week as a response in 2014. "The following year we test-launched special Chinese film sections at the festival, a practice that this year will become permanent," he says. Losique says the permanent section will boost the number of Chinese films screened at the festival and will present a special award to young talent. Xie Fei, a director who was a jury member at the 15th Montreal festival, says the festival was one of the earliest mainstream events to promote Chinese cinema to the West. He says he hopes the festival, as well as the ongoing Beijing International Film Festival, will screen arthouse movies on wider platforms, such as video-streaming sites. Sun Bing, head of the festival's Chinese office, says the movie-submission process for Chinese aspirants has begun. The deadline for short films from China is June 9. It's July 10 for feature-length movies.